So: when you’ve spent months growing the perfect beard, it can be difficult to decide what to do next. You don’t just want to cut it all off again - you’ve spent too much time on it - but unless you want to look like Gandalf the slightly-less-Grey, you don’t want to grow it down and down like a rug. 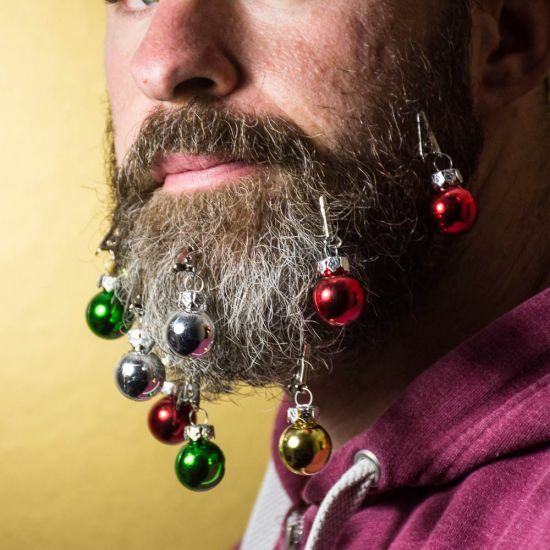 The answer is this incredible set of Beard Baubles. With handy little clips to hang on your facial fuzz, these Baubles add a layer of Christmas spirit to your beard, making it look like a truly festive fuzz that you’d be hard pressed to best. Coming in a host of colours - from red to gold to green - this set is a great gift for the festive period.